Return of the Plastic Pigs! 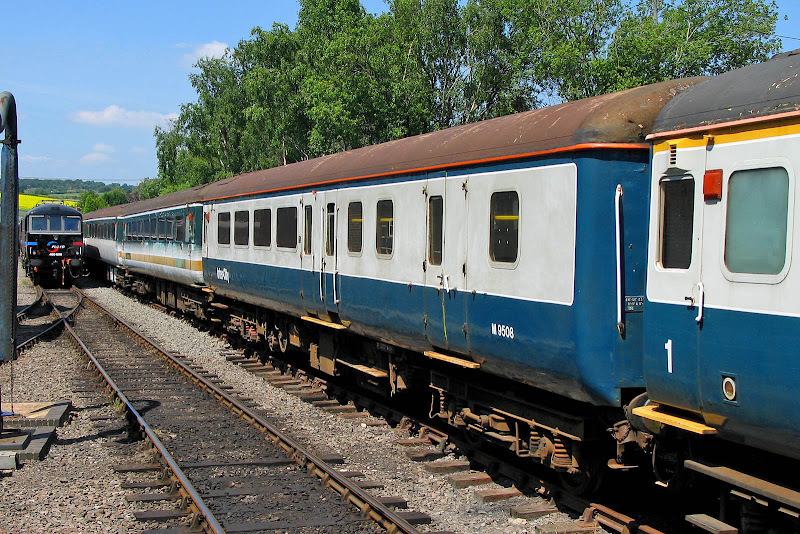 The 18 refurbished 5 coach trains for the Portsmouth Direct (2 + 2 seating) appear to be Class 442s equipped with a new traction package, replacing that which came from the 4-REPs and now 50 years old. 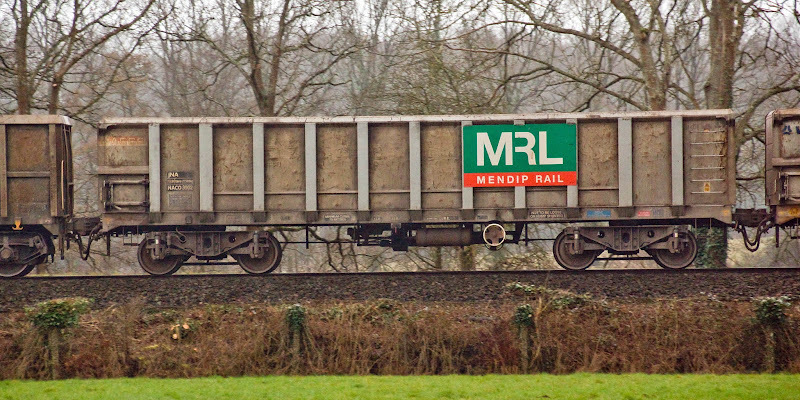 For liveries, time to get the SWT photos over the next four months or so. 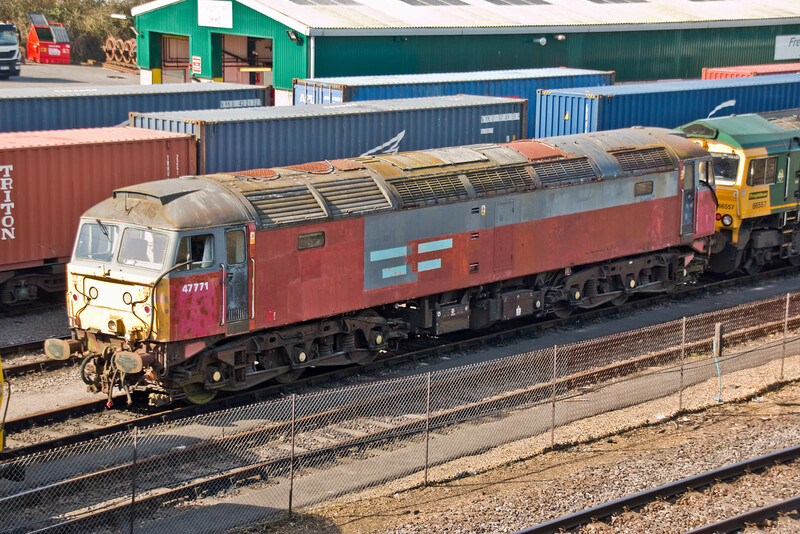 Potentially the last Class 47 on Southampton Maritime, 47771 has been prepared with a through brakepipe hose for the drag move to Eastleigh Works. 47771 was new from Brush at Loughborough on 6th July 1966, as D1946 allocated to D16 on the London Midland Region (Toton). 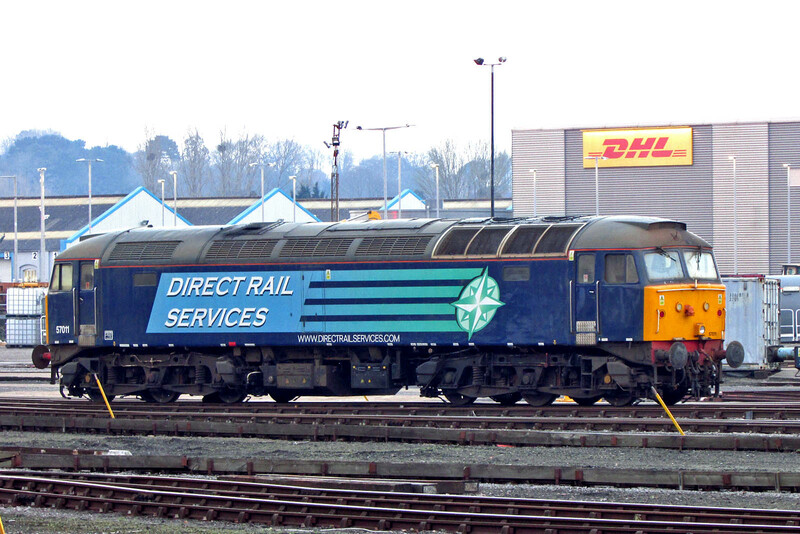 With ETH fitted, it was renumbered to 47503 in May 1974, and then 47771 in June 1994. 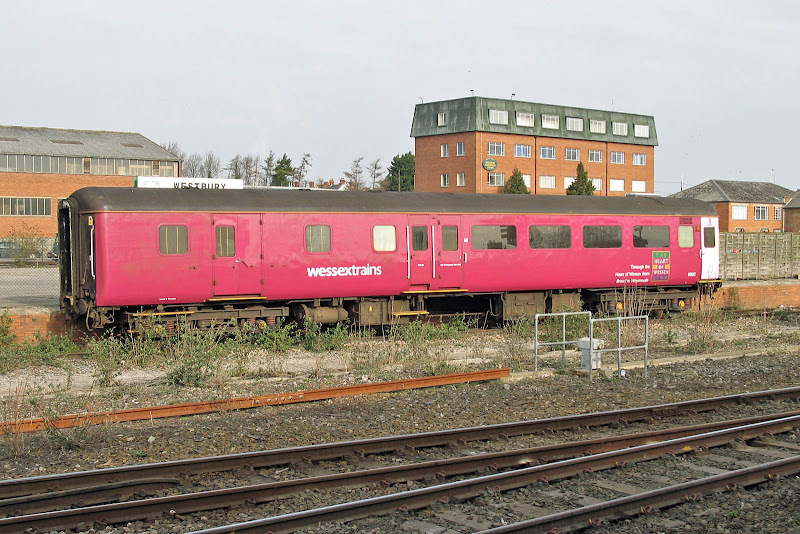 Withdrawn in April 2000, and preserved in June 2003. 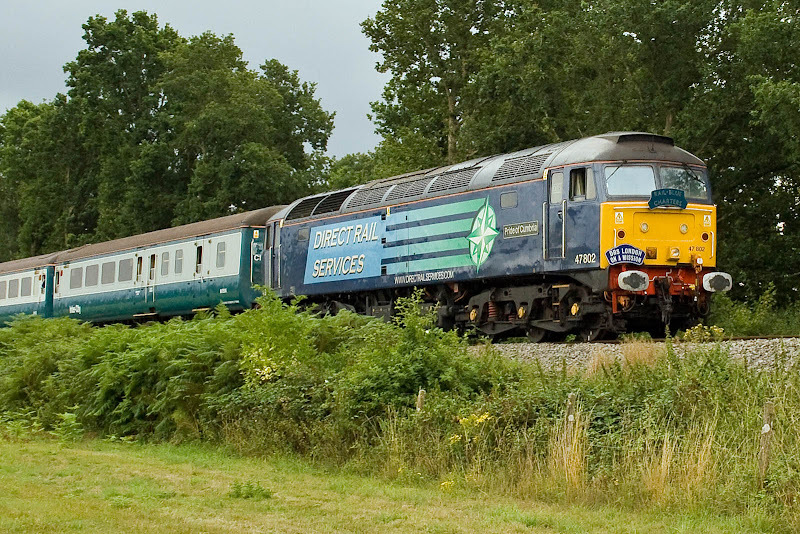 The locomotive carried the name The Geordie from August 1998 to June 1991, previously carried by 47403 and 47411. 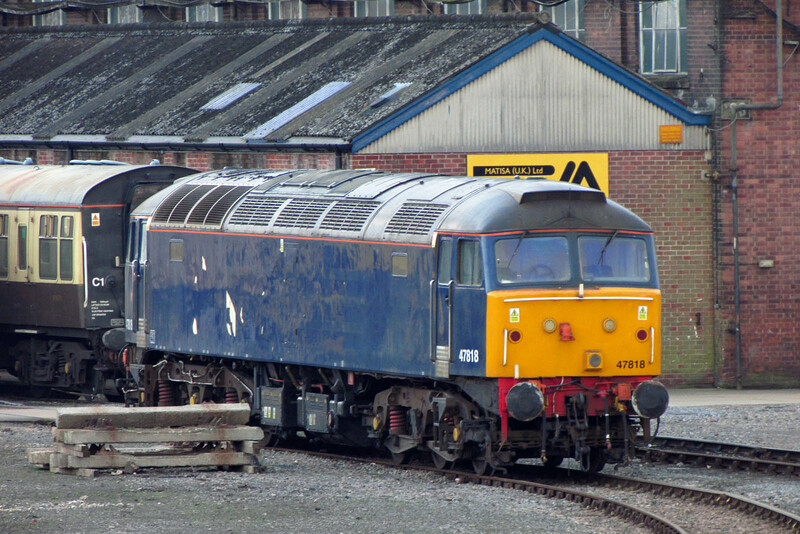 Later named Heaton Traincare Depot from 18th March 1993. 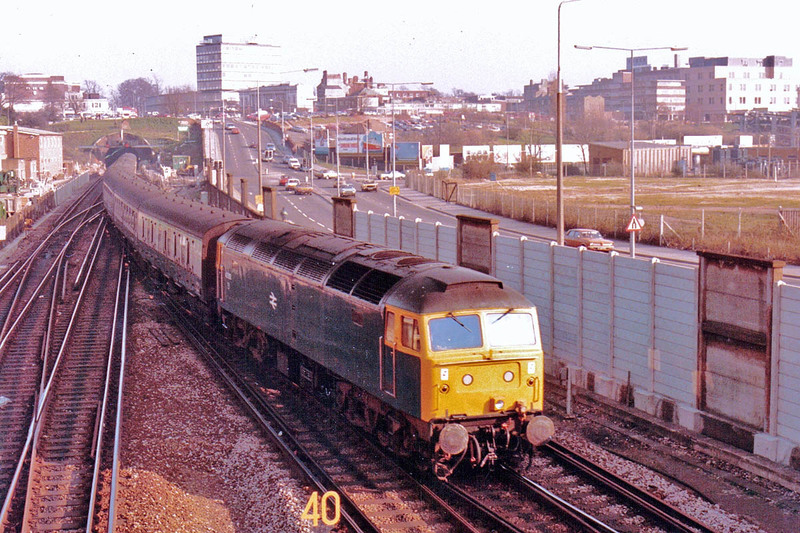 My own first sighting of 47503 was on 18th February 1984, arriving at Southampton with a cross-country service. 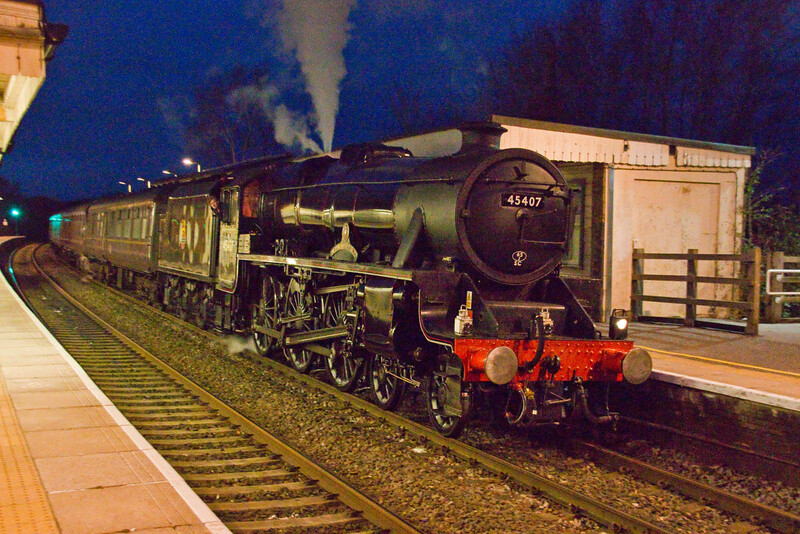 Still almost light - and the clocks change this weekend, 70808 passes Romsey with 6O31 17:30 Westbury - Eastleigh, 18:37, 24th March. 47771 Heaton Traincare Depot has arrived in the docks, ready for unloading. 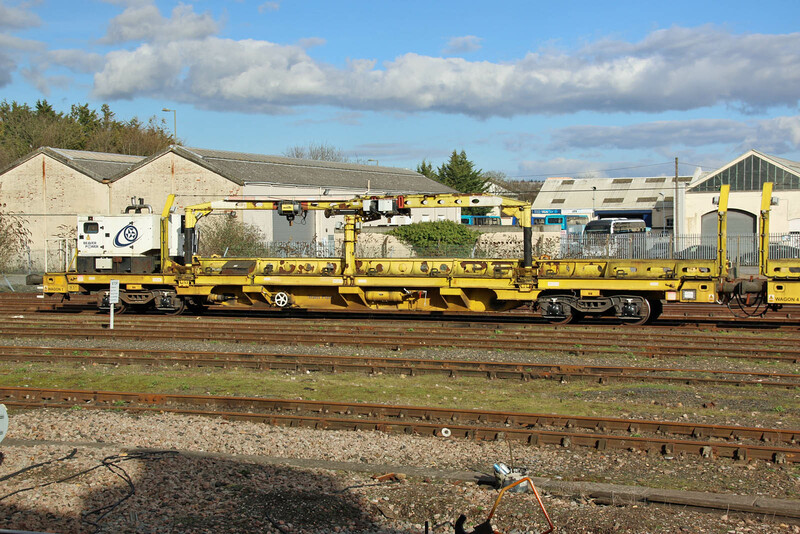 After inspections it is due to be tripped to Eastleigh Works. 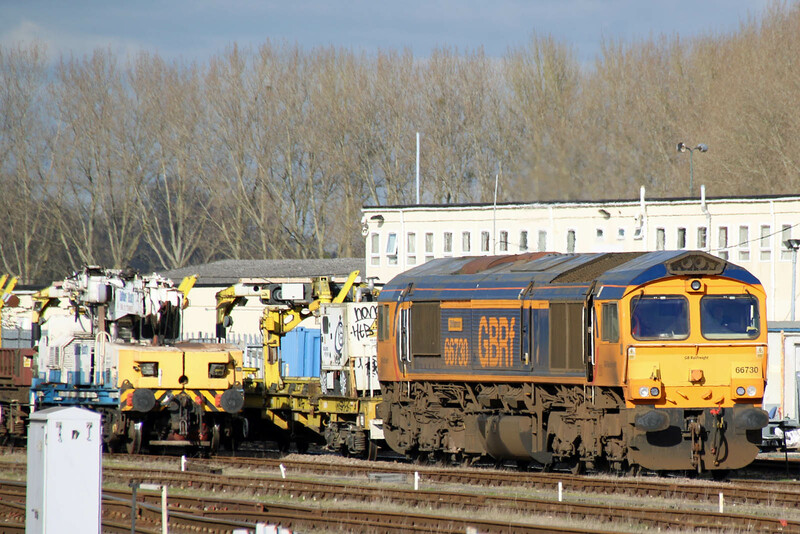 59002 Alan J Day is seen returning from Hamworthy. 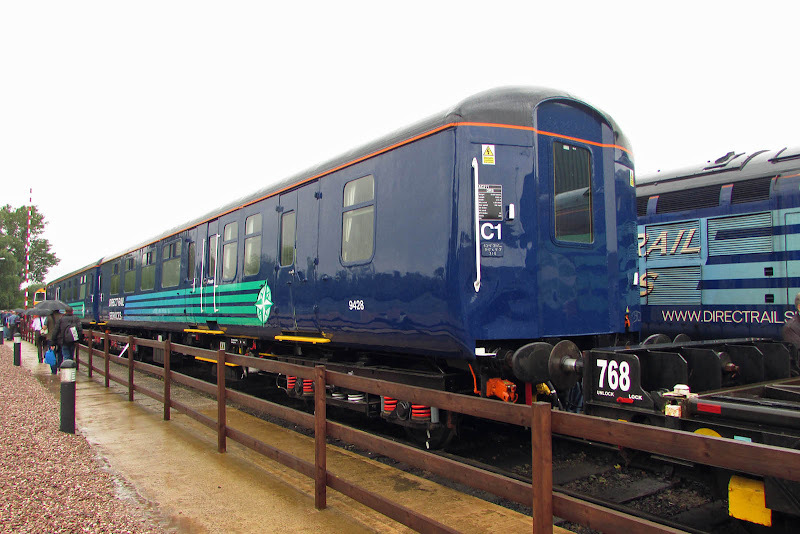 A test run took place, running with 70812, from Plymouth - Penzance - Tavistock Jct on Friday 17th. Moved to Westbury 23rd March. 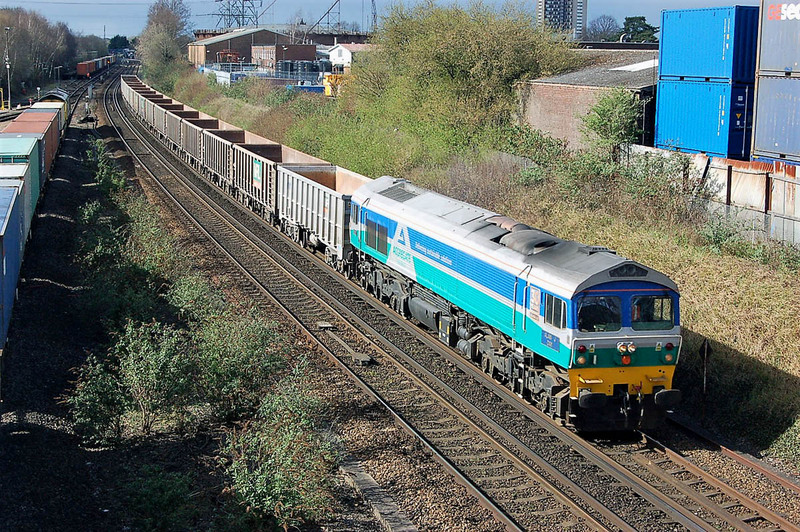 .... as the Southampton route had been incorrectly set by the signaller. 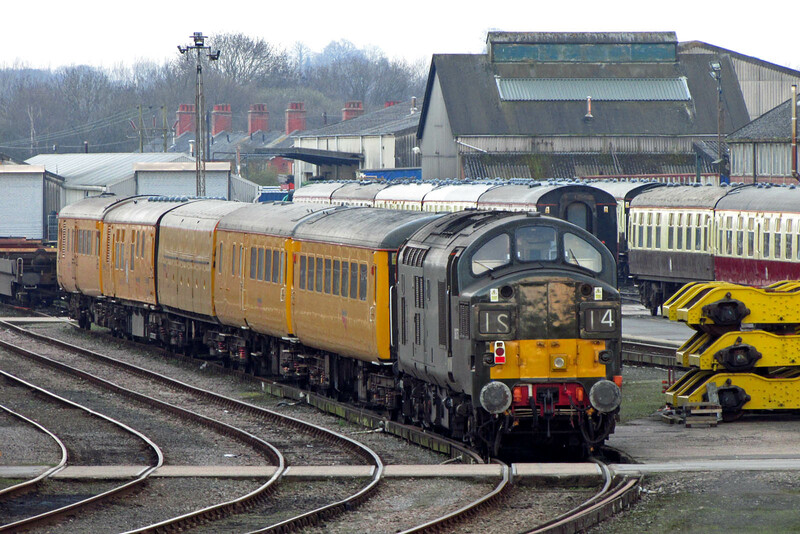 3058 FLORENCE is the oldest FO running on Network Rail from Lot 30169 completed at Doncaster in August 1955 (the oldest TSO is now from 1959). 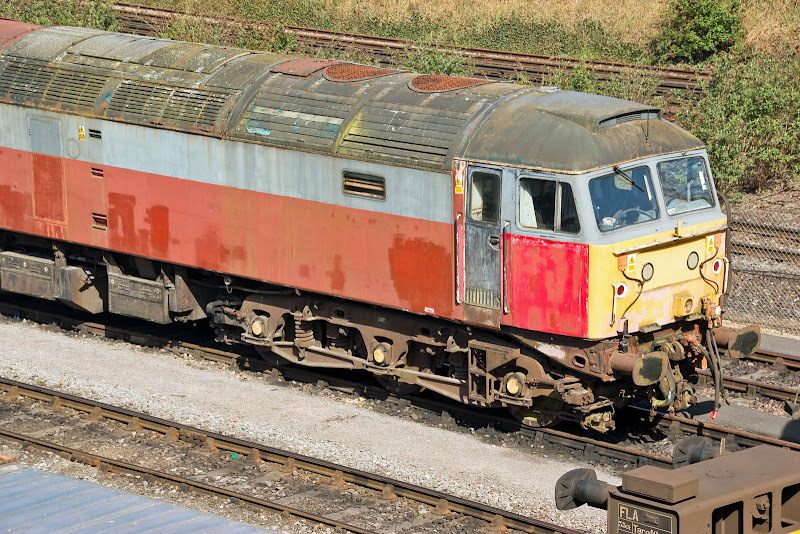 Withdrawn October 1972 becoming DB975313, an HST Instruction Coach. "P 1983 ex Exeter by 5542 Group, then West Somerset Railway 1989 where converted from FO to RMB as 'Taunton Cider Bar': passenger service Easter 1990. 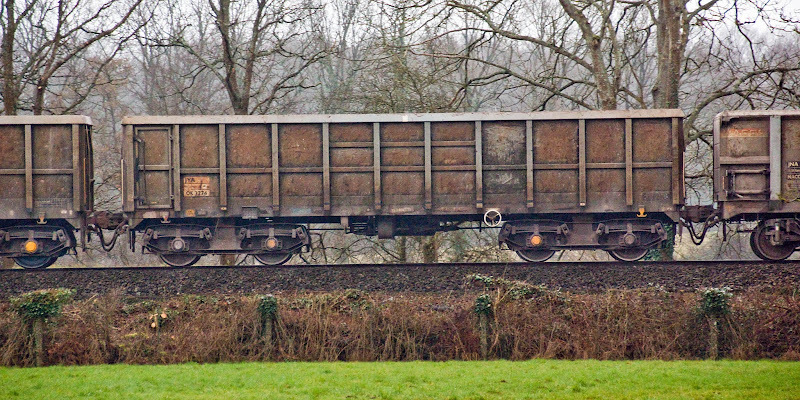 Commonwealth bogies 2003. Middle doors removed, 4 windows panelled over bar side. Now loose seating. Chocolate/cream livery. 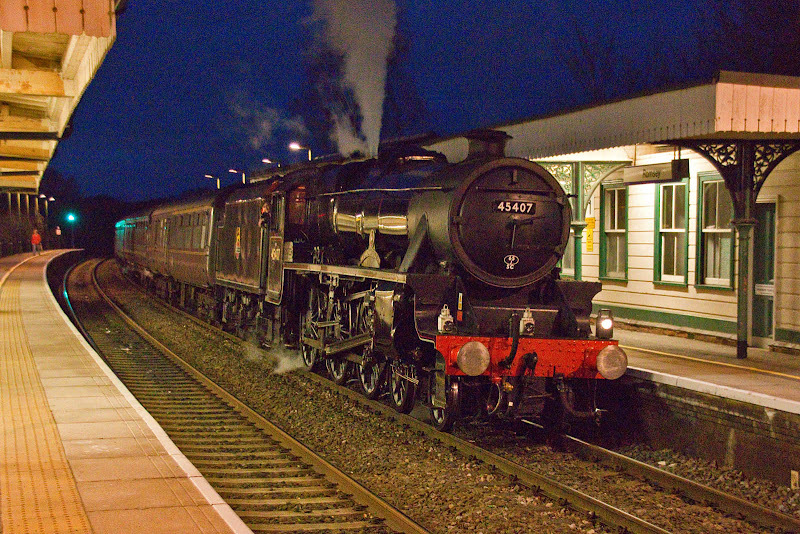 To Carnforth by 03/11. By 03/14: named 'Florence'. 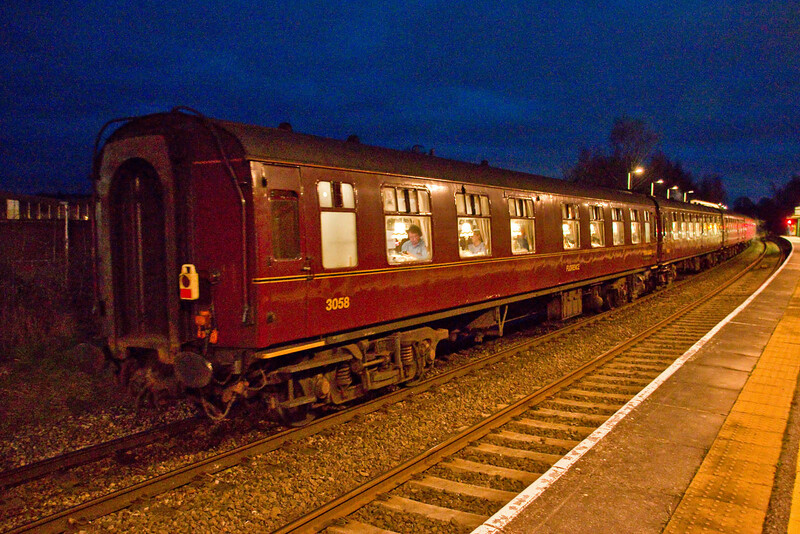 By 10/15: in West Coast Railways maroon livery." 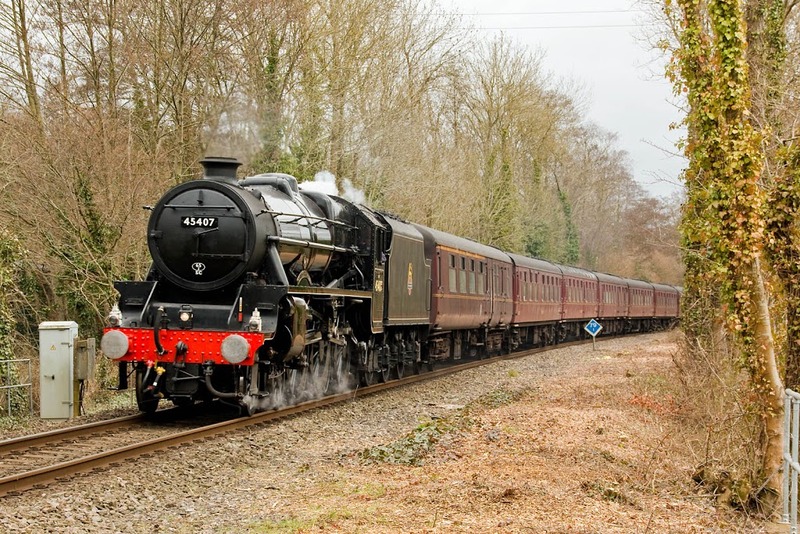 LMS Class 5MT 45407 ,new in September 1937, leads the train past a recently cleared photo location at Halterworth Crossing, near Romsey. 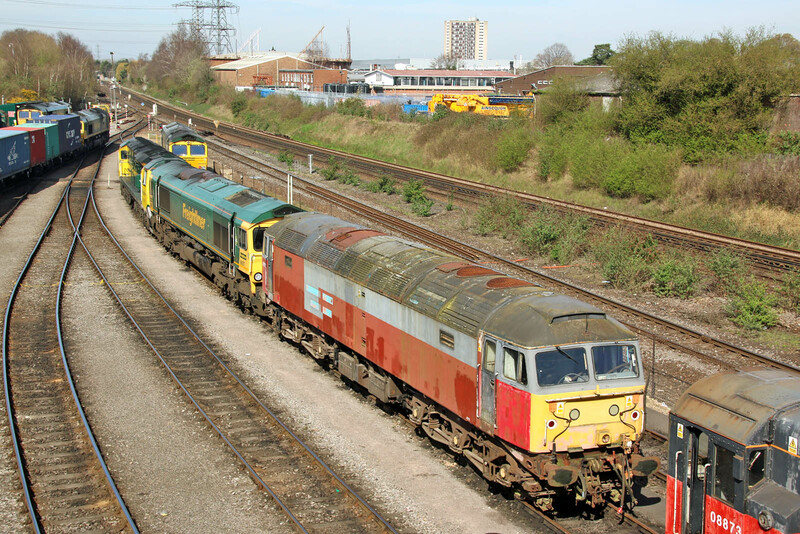 Monday 13th March: 73136 +73212 1Q51 Derby - Eastleigh (- Weymouth - Eastleigh) Southampton Up Yard - Eastleigh one two three. A problem with Class 73212 overheating on the way south from Derby - a vulnerability experienced since BR days, although the 73/9's seem to be improved - caused late running and the change in plan. 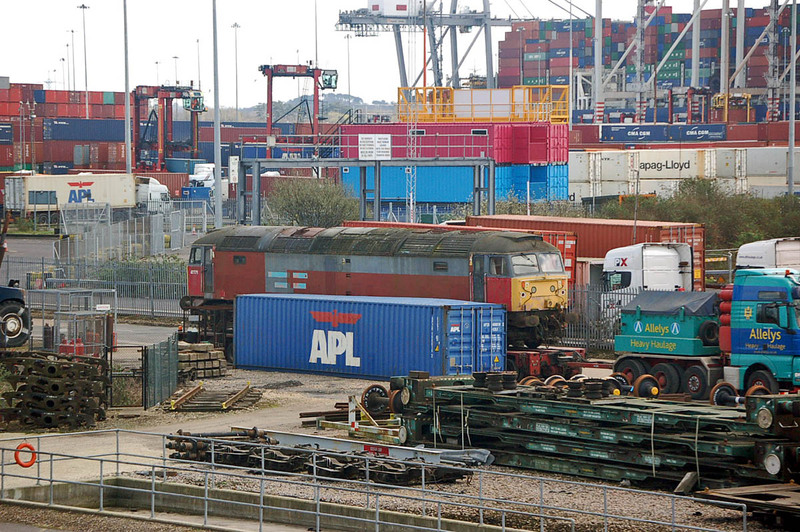 Tuesday 14th March: 73963 + 73964 1Q52 10:37 Eastleigh - Portsmouth Harbour - Littlehampton - Portsmouth Harbour - Totton Yard - Havant - Guildford - Havant - Eastleigh - Woking - Lymington Pier - Eastleigh one two - replaced 73136 + 73212 which went to Tonbridge. 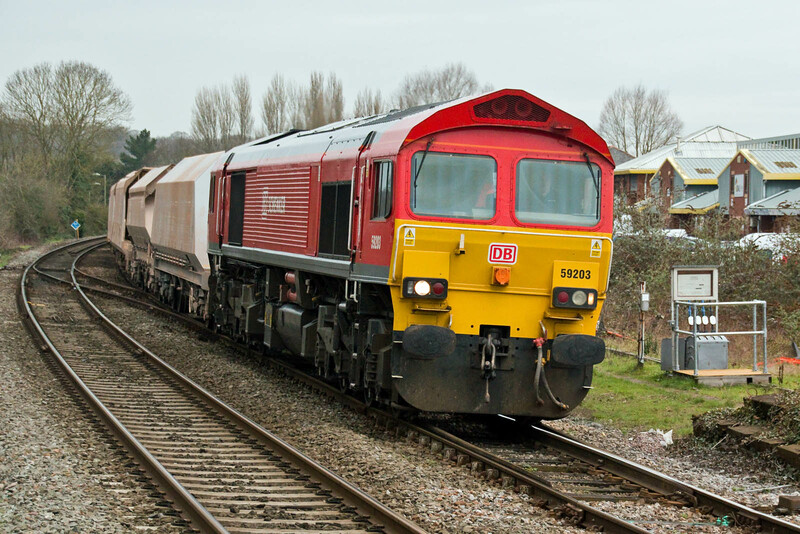 DB Cargo latest colours on 66149, working 6V41 on 7th, at Romsey. 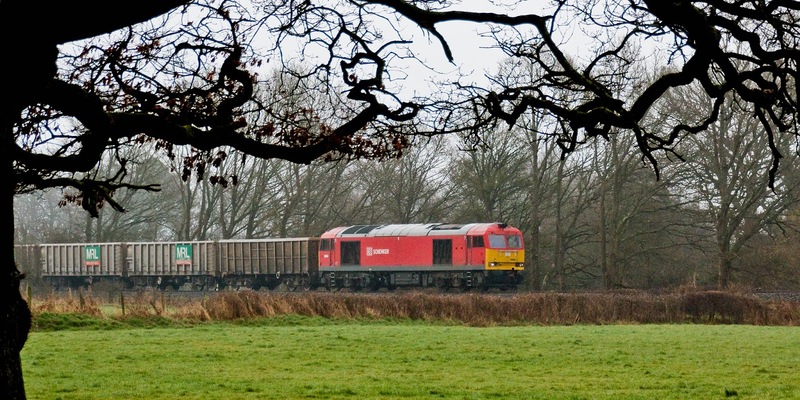 60054 7V52 13:15 Hamworthy - Whatley, seen passing Crampmoor. 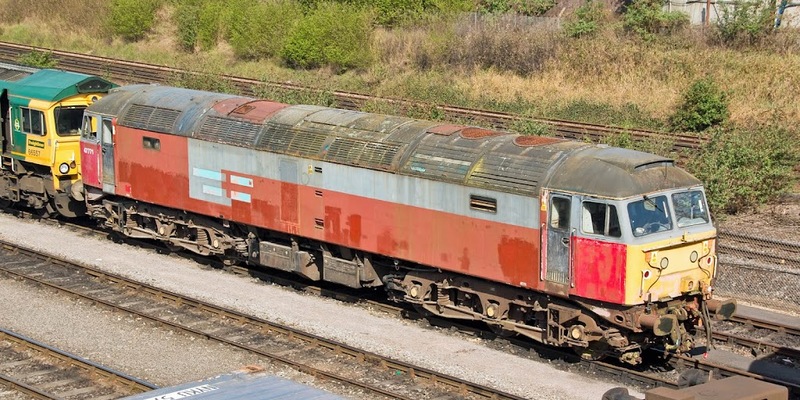 Closer view of the big red locomotive - now being returned to Toton for a B exam. NACO 3902 is a JNA built by Marcroft in 2000. 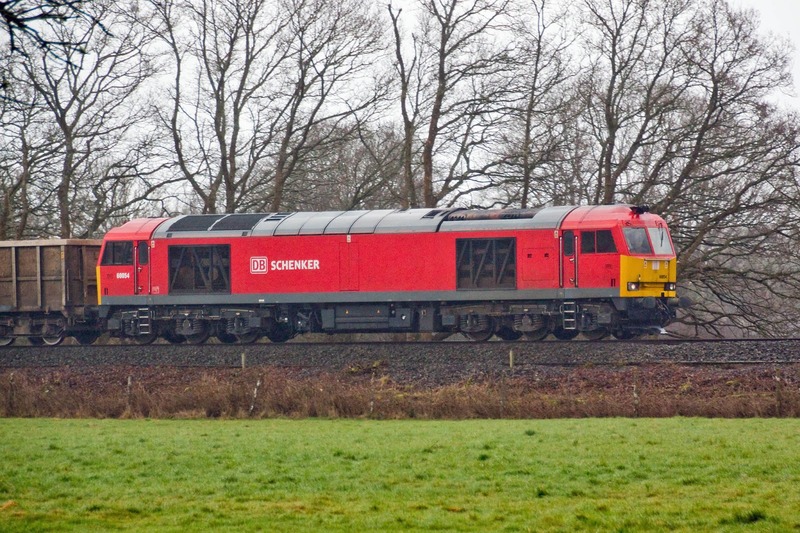 OK 3274 is a JYA built by Orenstein & Koppel in Germany 1988. 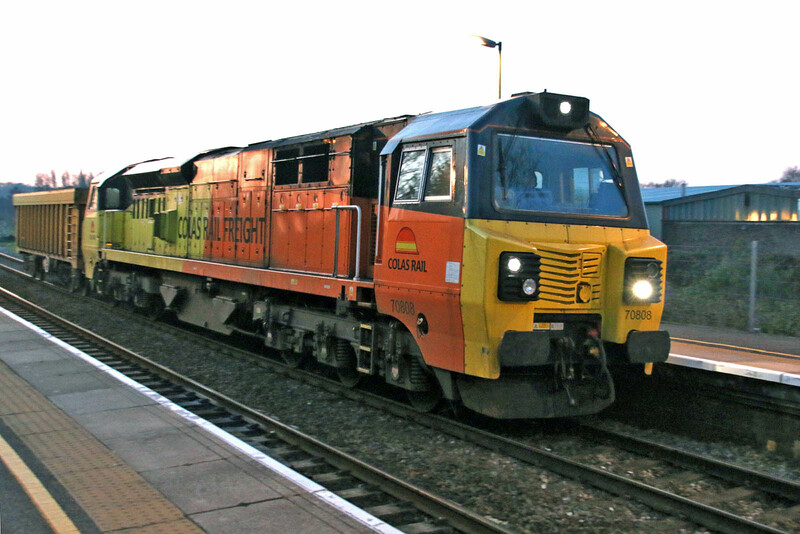 59203 leads past Romsey with 7O40 13:35 Merehead - Eastleigh, 3rd March. OK19305, a JHA built by Orenstein & Koppel in 1989. 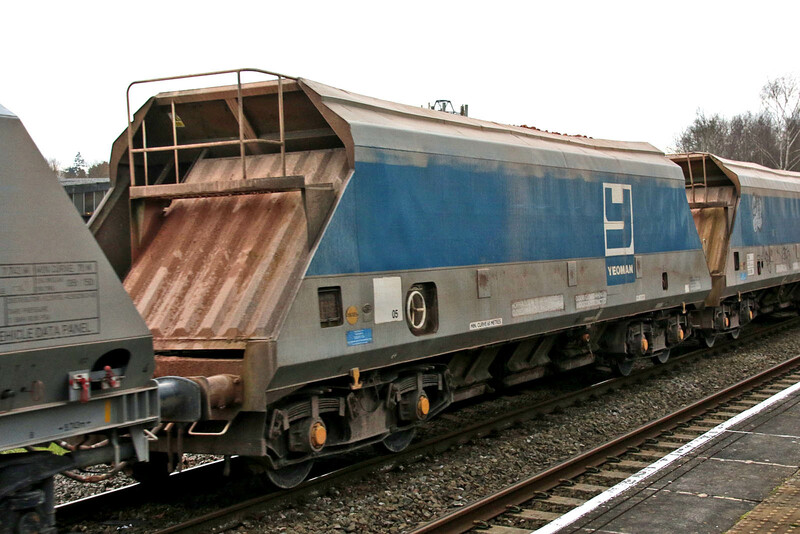 The FEA wagons are modified container traffic spine wagons, known as 'Slinger' type, built by Wagony Swidnica, Poland in 2007 in number range 640931 - 640943. The 'Slinger' rail and sleeper delivery equipment was fitted at York after delivery for Trans Plant, a subsidiary of Tube Lines. 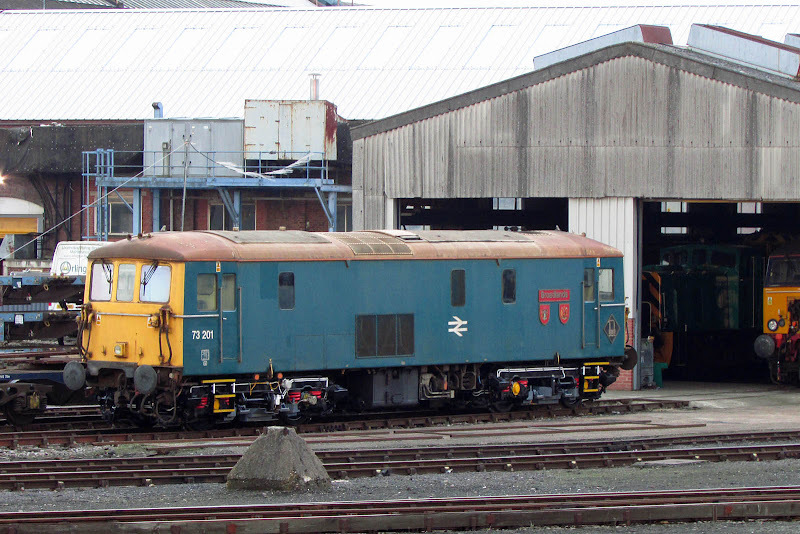 640938 is seen here. 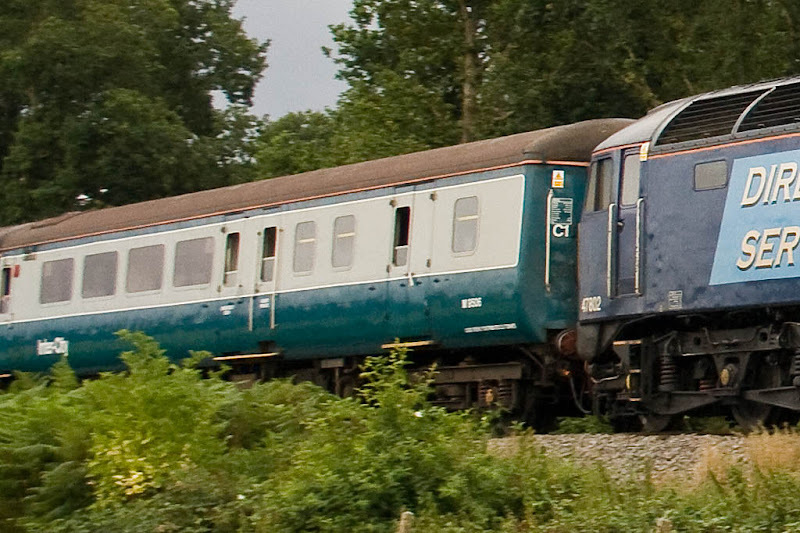 640931 is one of two cars with on-board generator. 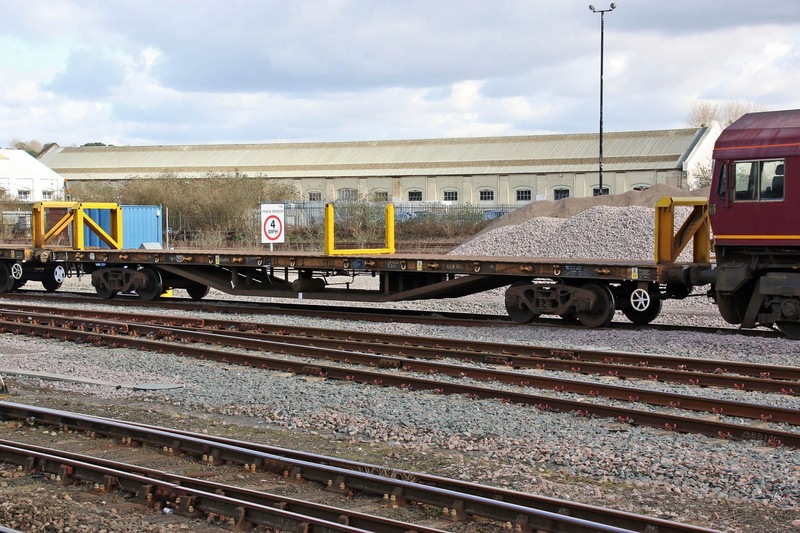 50t rail flat wagons are rather interesting, since their underframes are relatively ancient. This example is actually relatively new, being built by Teeside B&E in 1958, other examples go back to 1952. 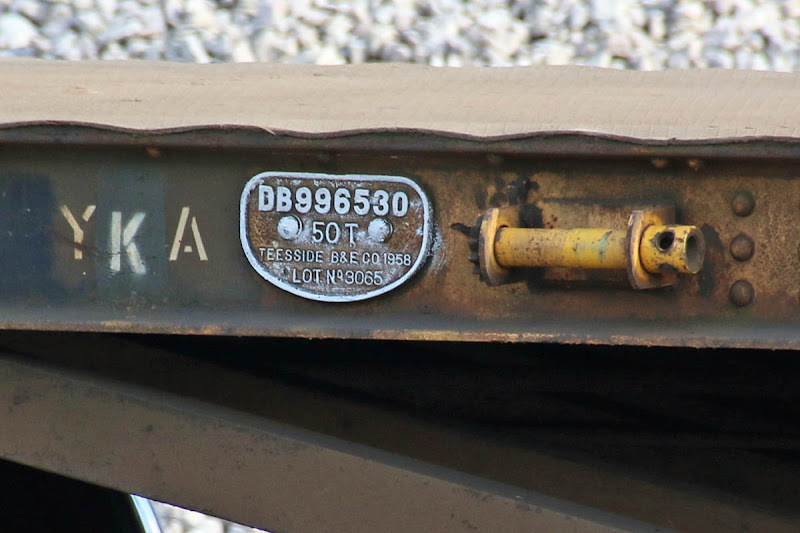 DB996530 is a YKA 'Osprey' most recently converted in 2009 when the stanchions were fitted. 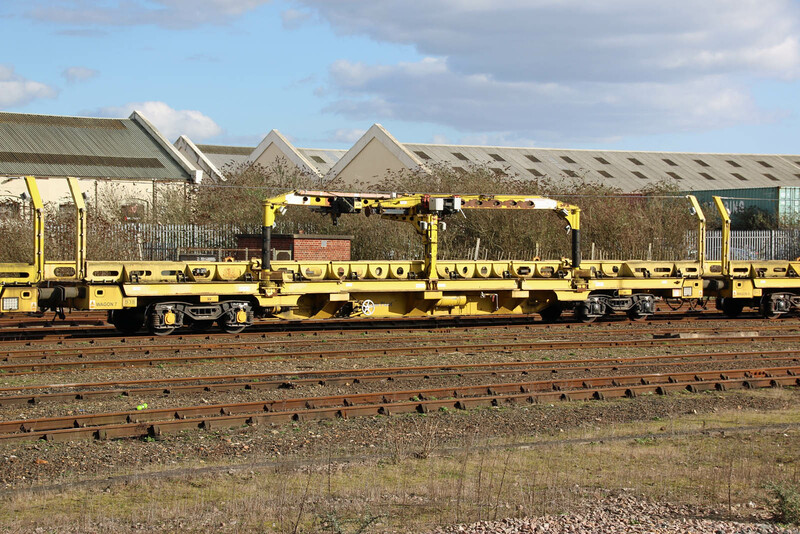 Teesside Bridge & Engineering - were located at Cargo Fleet, Middlesborough, and were part of Dorman Long.